For its twentieth anniversary celebration, AAO Artistic Director Peter Knight curated a program of concerts that celebrated the legacy and history of the AAO while also looking to the future. The Australian Art Orchestra celebrated its twentieth anniversary with a gala concert at The Coopers Malthouse, the venue which hosted the first AAO concert in 1996. The evening featured a suite of works drawn from the repertoire of the Australian Art Orchestra developed during twenty years of commissioning and performance including Passion (the AAO response to Bach’s St Matthew Passion), Testimony (Sandy Evans’ tribute to Charlie Parker), Ringing the Bell Backwards (the first work written for the Orchestra by Paul Grabowsky) and most recent work Struttin' With Some Barbecue by Eugene Ball, which featured acclaimed world/pop vocalist Ngaiire in a tribute to Louis Armstrong that premiered at MONA FOMA in January 2014. This program also featured a new work commissioned especially for the occasion from brilliant young Sydney-based composer, Austin Buckett, which explored the meeting point of composition and improvisation and features a range of outstanding performers including vocalist Gian Slater, turntablist/experimental DJ Martin Ng and AAO Artistic Director Peter Knight on trumpet and electronics. 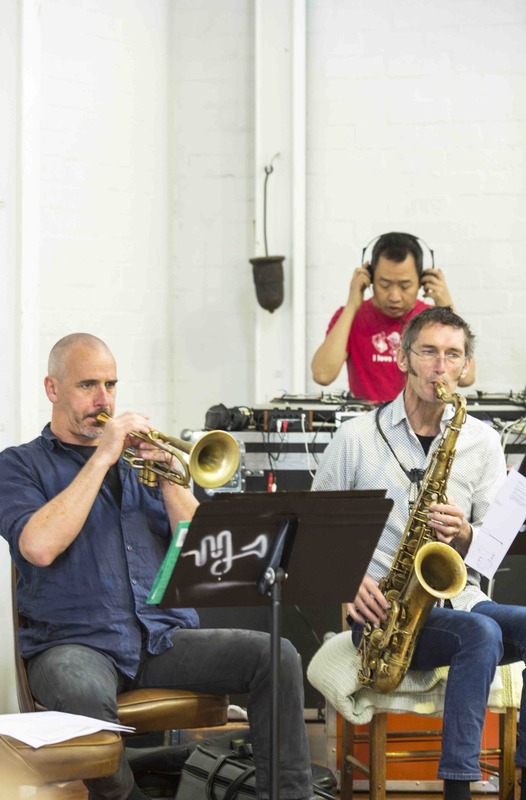 20UP showcased some of the most extraordinary improvising musicians in Australia including AAO founding members and new faces brought into the fold since Peter Knight’s appointment. A series of intimate solo works invited audiences to experience some of the strikingly original musical languages that comprise one of this country’s most innovate and unique musical ensembles. The solos were presented over two nights in ANAM Quartetthaus, a unique venue created by acclaimed design company, Bluebottle, for the Australian National Academy of Music. 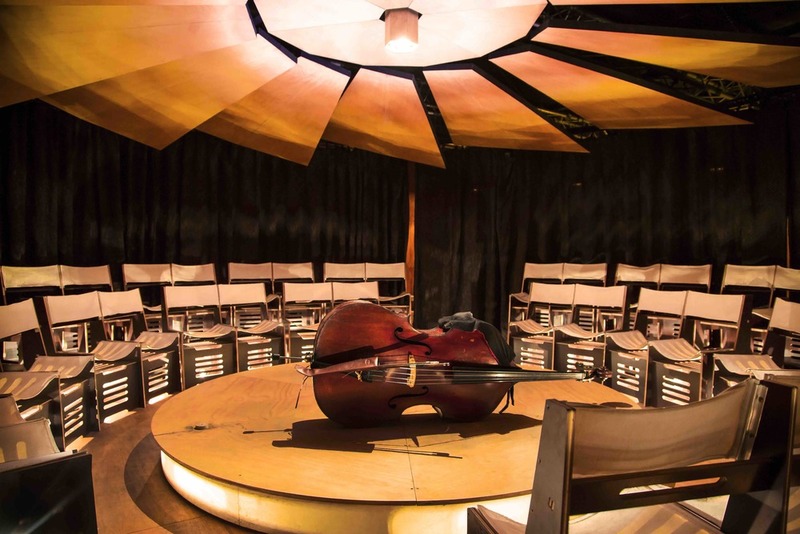 ANAM Quartetthaus is a small, circular building made of entirely of wood that is designed for the performance of acoustic music. It featured a slow turning stage that creates a unique listening experience.